What do English teachers do best? Pore over the minutiae of the latest proposed changes to GCSE specifications? Commit to memory the most recent accountability system by which schools are measured? Or argue about what makes a good book? The answer is obvious so, to provide material for debate, Andrew McCallum presents EMC's 'List of 50 Great 21st Century Novels for 6th Formers'. 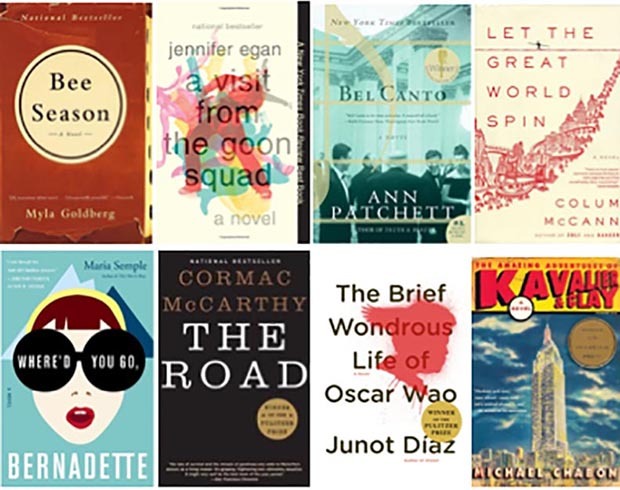 We’ve narrowed the list down to books written since 2000 for two reasons. First, we believe that young people deserve the opportunity to experience literature relevant to the world in which they live. Second, it anticipates changes to A Level English Literature specifications, which are likely to require students to study texts published since the turn of the Millennium rather than post-1990, as is currently the case. We make no claims for the list being definitive. Each novel included, however, has been read by at least one member of the EMC team, so we are confident about the quality of the selections. And we are prepared to argue our case! We also expect everyone who reads the list to have several favourites they feel should be included. Please let us know what they are and we will add them to the mix when making updates in the future. We have shied away from ranking the list from 1-50 and, instead, have opted to set the novels out in chronological order. If you are interested in sharing the list with your students, please forward the blog, or access a copy on PDF here. You can read more about each book by clicking on its cover image. Andrew McCallum is Co-director of the English and Media Centre.